This morning I taught Sunday school and preached the morning service at the GREENWOOD BIBLE BAPTIST CHURCH of Greenwood, IN. Pastor Todd Poynter started this church 17 years ago and God has used him in to build a great soul winning church in the Indianapolis area. 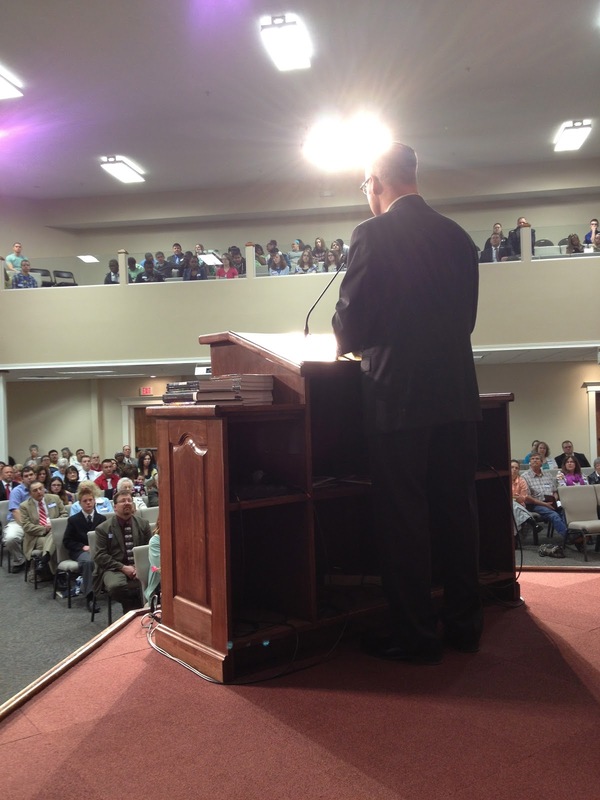 I have the honor of preaching for several years and the growth has been obvious. Recently they built a balcony and this morning the lower floor and the balcony were full. It was a blessed sight to see. In a day when some are saying it cannot be done like it was in the previous generation they should visit this great church. Pastor Poynter was raised under the ministry of Dr. Jack Hyles and obviously paid attention. Old fashioned hymns, old fashioned services, old fashioned preaching, old fashioned standards, and old fashioned soul winning. Love it! God gave us several who trusted Christ and 4 of those followed the LORD in baptism. AMEN! GOTTA LOVE SOUL WINNING! I am sure there are other doors, but these are some I have noticed in the Scriptures. I preached this morning my sermon “WHY DO WE STILL HAVE OUR BURDENS?” out of Matthew 11:28-30. Jesus is saying to us take your burden to the Lord and bring them back with you. No where in these verses does Jesus mention leaving your burdens with him. The truth is Jesus is saying here bring your burden to me and I will give you my burden. The great truth here is then and only then will you learn of Jesus.